Another three stages down in the first Grand Tour of the season, seeing some brilliant riding, nail biting finishes and a wonderful rememberance of the late Wouter Weylandt from Stage Six winner, Mark Cavendish. 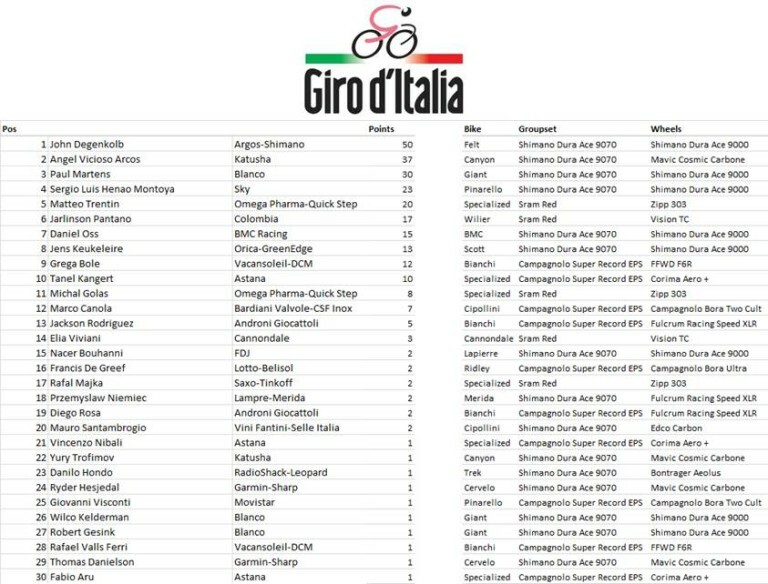 Stage 4 being dominated by the Italian manufacturers, Pinarello, Cipollini and Bianchi. 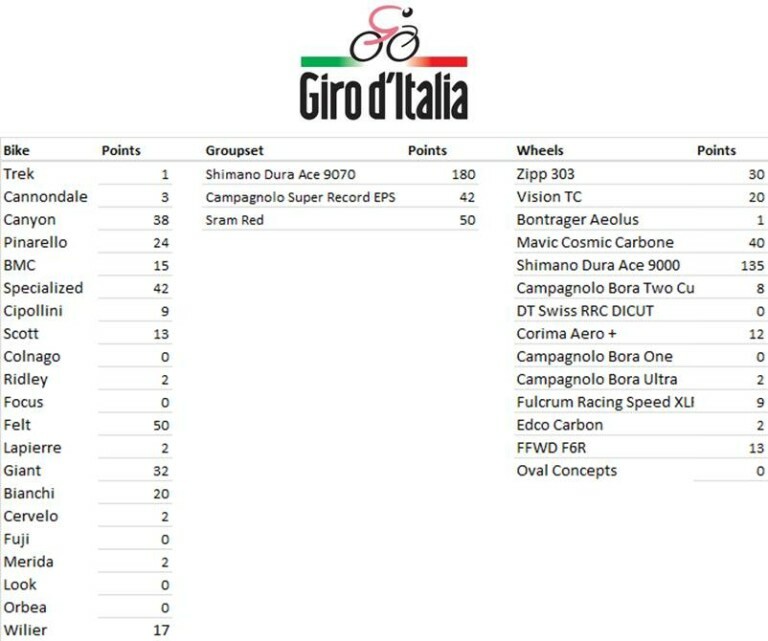 A rare stage win for Campagnolo too, a sign of a shift in power perhaps? 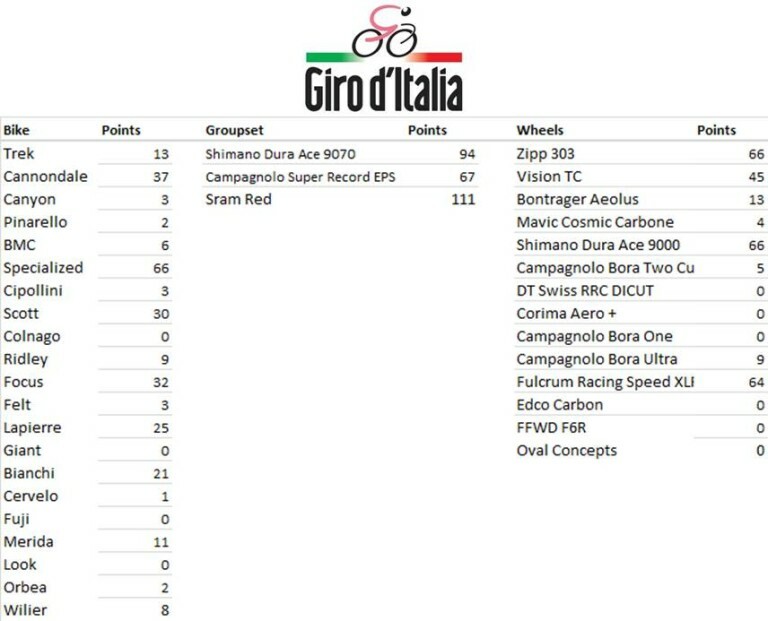 A stage win here for SRAM, with Shimano just beating Campagnolo into third. Shimano also drawing with Zipp in the Wheels race, with Fulcrum just 2 points adrift. 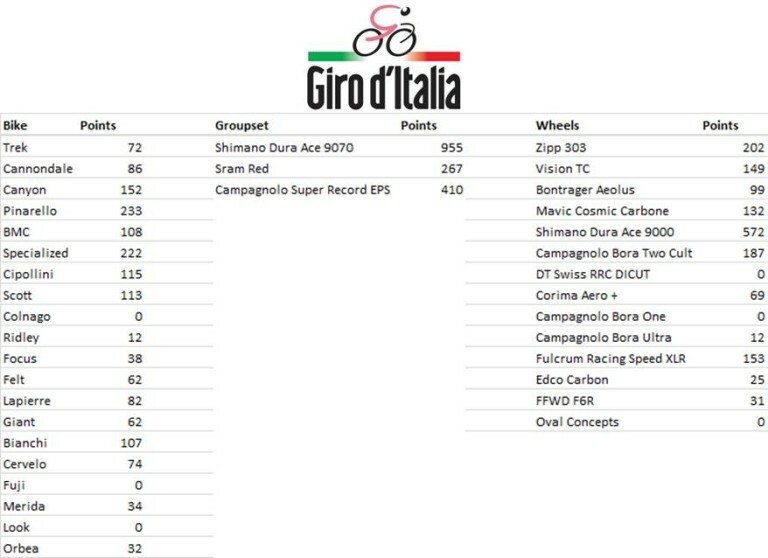 Still a comfortable lead for Shimano in the Groupset Table, with Pinarello fighting it out with Specialized in the Bikes. 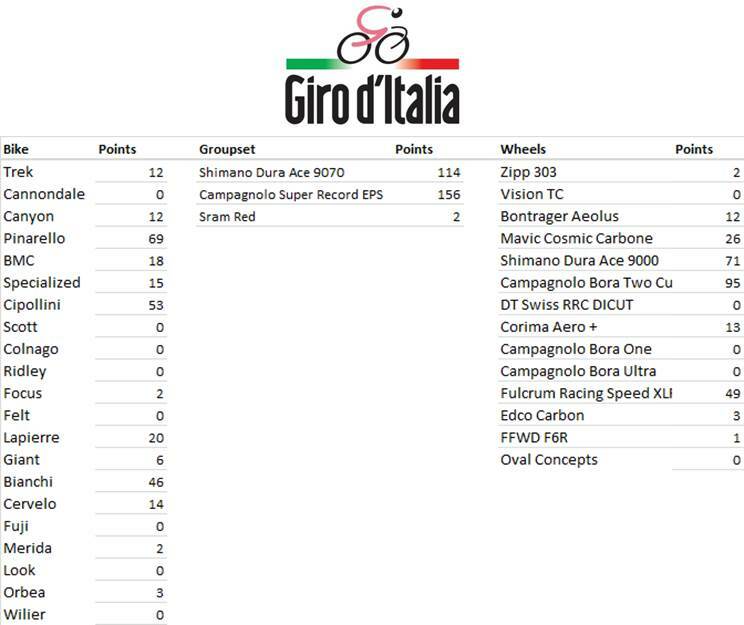 It’s already looking like a fight for second place behind Shimano in the Wheel Division too! 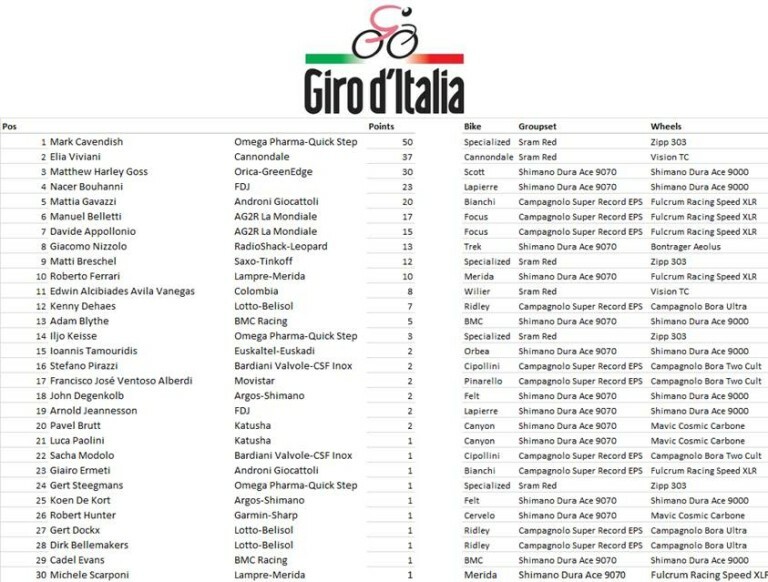 Still plenty of stages left though, and anything can happen in a Grand Tour! 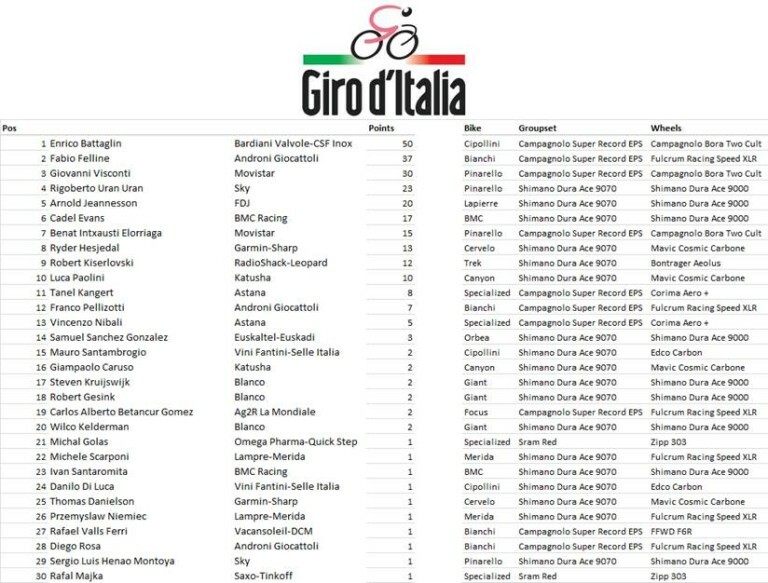 Tagged giro, giro d'italia, manufacturers league. Bookmark the permalink.